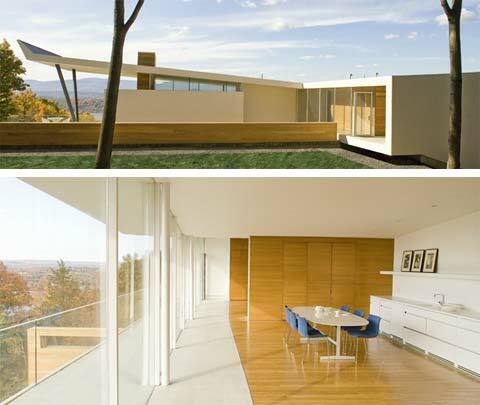 The simplicity of this house is manifested in its generosity. Big spaces, gorgeous white, exquisite warmness of wooden cladding – it is so Mediterranean I can almost smell the Basil. Only the sultry silhouettes of Federico Fellini’s femmes-fatale are missing here. According to the prose of existence the object is situated on the Hudson River, at the peak of Mt. Merino. 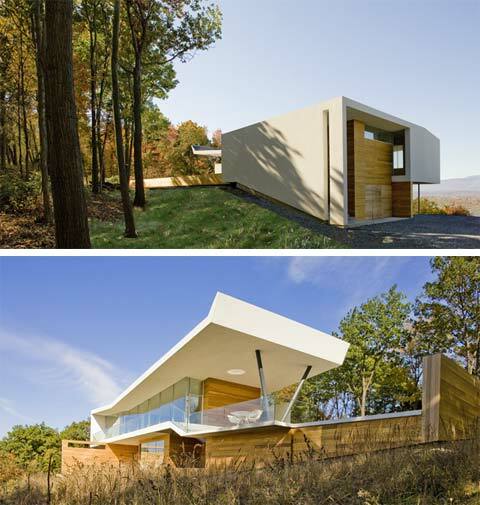 This stylish modern home is 2,200 sq. ft. large, however it is so horizontally orientated that it seems to be bigger. 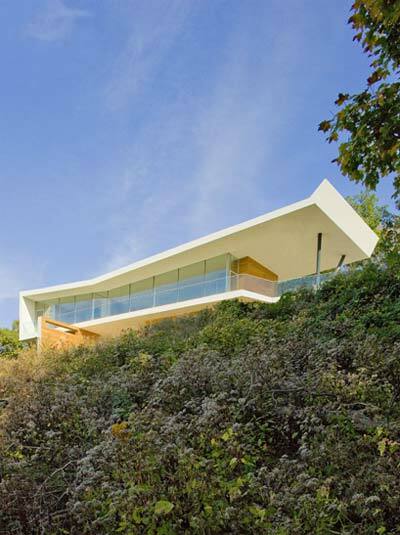 Due to the shape of the building it can be perceived as an extension of the mountain slope, where large volumes of space, dynamic in shape, are crawling in the every direction. 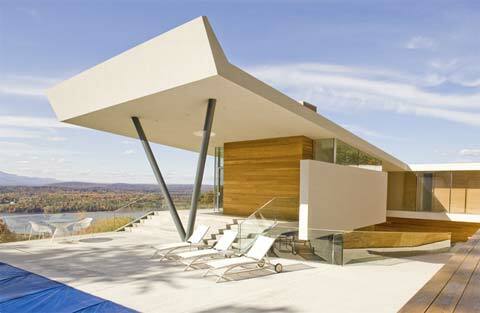 There are three basic facade materials applied here – white coating, cedar cladding and glass. 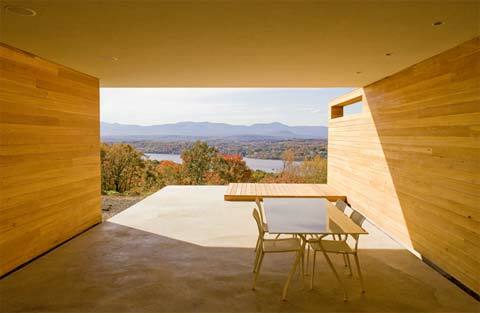 Vast glass walls open up onto magnificent views of the hills and river, while the cedar cladded surfaces serve as a visual connection of the architectural from and the nature of the hill. Finally, the white surface of the slab unfolds dramatically into the canopy and covers the big terrace. Two pillars, organized into a V-shape maintain the canopy. This V-shape construction feels a bit old-fashioned, but why should we be against a few touches of good old functionalism… I know I’m not.